Right now in Seminary, I have more reading assigned to me than I can handle... but that didn't stop me from reading another book by Jürgen Moltmann this weekend. On Friday I picked up Experiences of God by Moltmann and after finishing it yesterday (don't be too impressed, it's only 80 pages long) I'm pretty sure it has become my new favorite book to recommend for Moltmann newbies. He begins with a simple and personal reflection on the question, "why am I a Christian?" He autobiographically sketches his own journey of being and becoming... "What if this 'being a Christian,'" he asks, "...is not something that is at all? What if it is something that is involved in a continual process of becoming?" (4) This question conveniently leads him into a discussion of the provisional nature of the present, the future quality of the here and now which segues nicely into what is essentially a personal reflection on his Theology of Hope and the centrality of the cross (i.e. The Crucified God) for his whole theological corpus. The discussions in this book are by no means comprehensive (it will still be worthwhile to read pretty much everything else he's written) but I think this book walks nicely through some of the major themes present in all of Moltmann's work. 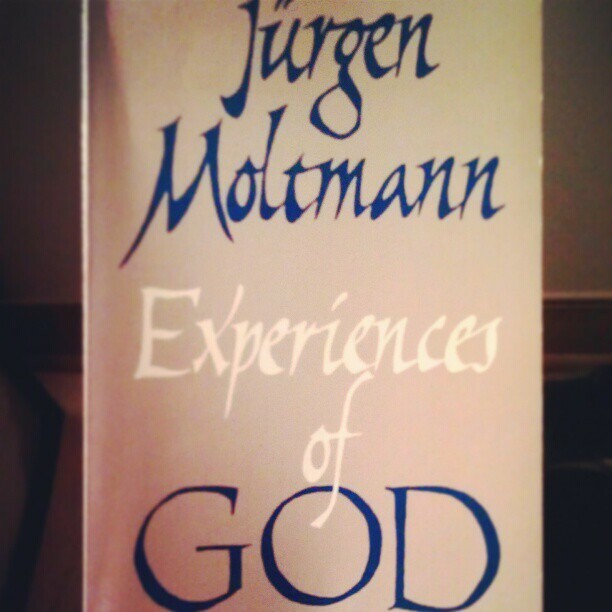 If you're new to Moltmann, this book would be a good place to start.